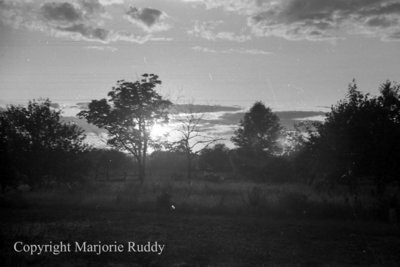 Black and white negative of a sunset taken in Whitby, Ontario in July 1938. In this view the setting sun is visible between two trees in a field. Sunset in Whitby, July 1938, Marjorie Ruddy. Whitby Archives A2013_040_946B.